BOEMax is an all-in-one estimating and estimate management tool designed for the complex requirements of government contracts. BOEMax simplifies estimate development with a central database, built-in workflow, easy to use Excel-like grid views, and other features to help you streamline and standardize your estimating process. Build the work breakdown structure (WBS): Create the WBS manually, import it from an Excel file, or import it from schedule tools. BOEMax uses the structure to automatically create the hierarchical estimate grid view ready for you to begin developing your cost estimate data. Import, parse, and map requirements: Save time with BOEMax. BOEMax automatically parses lengthy requirements documents into a code structure so you can quickly map requirements to the WBS elements. Central database: Create cost estimate data and enter rich text documentation all in one place. The central database helps you organize the time phased data and build a searchable historical database so you can create quality, data-driven cost estimates. Easy to use grid view: Quickly enter or view data using a familiar user interface similar to Excel. Expand or collapse the WBS hierarchy, change the order of the columns, hide or show columns, or sort and filter the data to quickly build your estimate data. Manage estimate development with built-in workflow: No more guessing where things are in the estimate development process or who has approved the estimate. With BOEMax, you can trace who did what to the data and who has electronically signed off on the estimate. Searchable estimating process library: Quickly create accurate and credible estimates using historical cost estimates and actual costs. Search the library to leverage existing estimates at a project, WBS, or task level. Build simple or complex rate structures: Use the rate structures to build cost rules for craft labor categories to calculate indirect costs and total costs from base values you enter such as labor hours, material quantities, or material cost. Bi-directional integration with schedule tools: Estimate the duration of tasks, sequence of work, and resource requirements in your schedule tool to create the time phased estimate data in BOEMax. Or, use base task, duration, and resource requirements from BOEMax for the schedulers build the network schedule task relationships to determine the proper time phasing in BOEMax. Simplifies the process to ensure the time phased cost estimates align with the schedule task dates. Hierarchical bills of material (BOMs): Easily enter BOM quantities for a top assembly, automatically flow the quantity to the sub-assemblies, and determine the cost of materials. Estimate versioning: Create a “snapshot” of the estimate and create as many versions as needed so you can easily compare versions or restore a version to be the live version. Estimate version reporting: Compare versions at any level of the estimate data structures. For example, compare labor category by hours and total cost at the project level, as well as at a different WBS levels. Rich text documentation and reporting: Create documents with or without rich text templates for repeatable use. This could include information such as basis of estimate rationale, risk, assumptions, requirements, and more. Export estimate data to the cost management software: Once you have authorization to proceed, you can leverage the estimate data to create the time phased budget in MaxTeam for the execution phase of the project. Simplifies managing changes and rolling wave planning: As the project progresses and you need to update the budget for the remaining work, model the changes in BOEMax and push the approved changes to MaxTeam for full traceability. Set up custom reports with user defined fields and codes tailored to your unique business or project specific needs. These fields and codes automatically show up in reporting options so cost and basis of estimate reporting is easy and flexible. Establish historical content in the searchable process library. We can help you populate the source data in the process library so it includes common labor and material requirements for repeatable tasks that can be used for future estimates. This can include data from previous estimates as well as historical actuals. 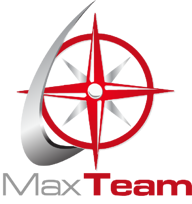 MaxTeam is a project cost management tool for the planning and execution phases of a project. MaxTeam works seamlessly with BOEMax to create and maintain time phased budget as well as forecast data in a central database with built-in workflow and robust reporting. Import estimated actuals or actual costs into the central database as well as schedule status to measure progress for rapid data-driven decision making. Import your estimate from BOEMax: Transfer estimate data directly from BOEMax to MaxTeam to quickly create the time phased budget data. You have the complete data structure, calendar, rates, resource structure, and time phased cost data in place to organize, plan, and manage the project. Then use BOEMax as an ongoing platform for managing changes and rolling wave planning. Otherwise, build the work breakdown structure (WBS) as the basis to plan the project: Create the WBS manually, import it from an Excel file, or import it from common scheduling tools. MaxTeam uses the structure to automatically create the hierarchical grid view ready for you to enter time phased budget or forecast data. Import, parse, and map requirements: MaxTeam can quickly parse requirement paragraphs into a code structure so you can map requirements to the WBS elements. Central database: Use MaxTeam to create and maintain your time phased cost data including budget, earned value, estimated actuals, actual cost, and forecast as well as rich text documentation all in one place. Easy to use grid view: Quickly enter or view data using a familiar user interface similar to Excel. Expand or collapse the WBS hierarchy, change the order of the columns, hide or show columns, or sort and filter the data to quickly create your budget data. Or, create role-based views to fit management needs. Schedule integration: Ensures the time phased budget data are always in alignment with the resource loaded activity data. Eliminates common disconnects between the schedule and cost data. You can map the fields in the schedule tool to the fields required for the cost data such as the WBS, control account, work package, charge code, or other user defined codes. Supports standard performance measurement techniques: These are assigned at the work package level. Includes 0/100, 100/0, 50/50, user defined, percent complete, earning rules, milestones, level of effort (LOE), and apportioned effort. Import schedule activity status: Use the schedule status as the basis for claiming work package earned value. Eliminates common disconnects between the schedule and cost data. Import actual costs from the accounting system: Easily import actual costs from the accounting system. You can establish an actual cost import template to simplify the weekly or monthly import process. Enter and maintain estimated actuals: Enter and track estimated actuals to assist in developing the forecast at completion. Replace the estimated actual values when the actual costs become available from the accounting system. Update forecasts in the same grid view: Easily maintain the labor forecast for the remaining work and apply forecast rates. Use the forecast data along with the estimated actuals or actual costs to determine the likely forecast as completion. Produce the time phased forecast data from the schedule data: Ensures the forecast data are always in alignment with the resource loaded activity data for the remaining work. Eliminates common disconnects between the schedule and cost data. Manage the change control process workflow: Baseline change requests or work authorization documents requiring approval show up in a person’s queue waiting for them to take the required action. Then the item moves to the next responsible person. Basis of estimate, baseline change request, and work authorization forms with electronic signatures automatically track budget changes. Quickly establish a budget baseline. 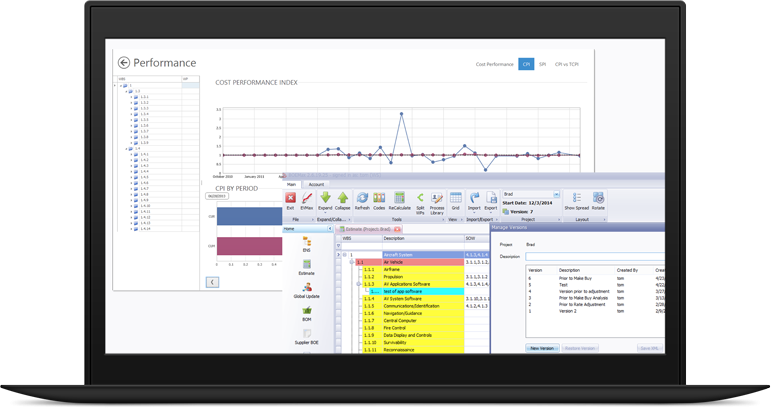 Simply copy the cost estimate data from BOEMax into MaxTeam as the basis to create the time phased budget data. Managing changes and rolling wave planning. Simply model your changes in BOEMax and then merge the approved changes into MaxTeam. Shared workflow processes. Use BOEMax and MaxTeam together for a complete audit trail of budget changes. Custom reports with user defined fields and codes to support cross-project reporting or project unique requirements. These fields and codes show up in the reporting options so reporting is easy and flexible. Data mapping for the schedule tool or other data interfaces you want to establish with the project cost data in MaxTeam. The workflow roles, applicable forms, and approval levels to align with your change control process and functional roles. Get contacted by support within 2 hours. "I'll send a ticket, and I'll hear back that same day...and sometimes I'll even get an upgraded tool within that same day. I've never had an experience with a vendor that's as timely and efficient and supportive." Note: MS Project™ and Microsoft® are trademarks of Microsoft. Oracle® and Primavera are trademarks of Oracle. SAP® is a trademark of SAP. ProPricer™ is a trademark of Executive Business Services Inc. Cobra is a trademark of Deltek Inc.
ProjStream Software meets DCMA and DCAA compliance standards related to the DFARS contractor business systems in the areas of Estimating and Earned Value.